Can it be that the world is self-selecting then? Or has time transformed every mind? Tell me, would we? could we? should we? \~/ Stay safe, have fun, I’ll see you next year! Wretchedness is a good teacher, though, and gradually something happened. When Ahmed, the impoverished student cramming under my streetlight, confided colorful details about Islamist movements at his university, when Mohammed the biologist discoursed on overexploitation of fish stocks, and when a royal third cousin gossiped about companies controlled by His Sherifian Majesty, it was not because my French accent had improved (though it had), but because I was no longer a stranger. Diplomats must persuade non-English-speaking politicians to take the risk of telling us what we need to know rather than what we want to hear. Why Don’t We Talk Anymore? Ever wondered why our elected leaders and very important folks go on legacy tours/interviews or even write their own books? Or have their surrogates defend their record, spin us if needed to shore up their legacy? I‘ve always thought that this has to do with claiming their “correct” place in history, but in a visit to Ohio in 1999, a much simpler reason surfaced and gave me a better appreciation of this legacy shoring up business. In Delaware, Ohio – specifically on #17 E. William Street. Downtown, on US 36/William Street, a half-block east of Sandusky Street, there is a plaque on the north side, directly in front of the BP station. The plaque marks the birthplace of Rutherford B. Hayes, 19th President of the United States, now a gas station owned by British Petroleum. Dozens of gas stations are operated in this bustling community, but I looked for the BP station on East William Street. Adjacent to the pumps stood a monument behind a phone booth flanked by bushes. Etchings on the slab indicated that Rutherford B. Hayes was born here in 1822. I filled my tank and headed inside. “People stop here to see the president’s birthplace?” I asked the clerk. He studied me from behind the counter. “What happened to Hayes’ house?” I asked. “In one of the most controversial presidential elections in the nation’s history, the Democratic candidate won the nation’s popular vote but lost the election. Everyone remembers the details; a Florida election that was “too close to call;” accusations of fraud and the destruction of Democratic ballots; and southern blacks forced at gunpoint to the ballot boxes to vote Republican. Don’t remember that last part, you say? And so – can you really blame the living for their legacy tours, interviews, forthcoming books, centers, temples of worship, er libraries, and whatever else is in their “no BP station preventive insurance” checklist? 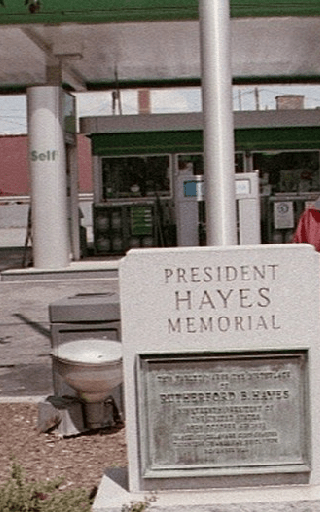 The Rutherford B. Hayes Memorial BP Station stands in great contrast to the memorials made in his name in the small country of Paraguay where he is still revered as a great hero. Paraguayans celebrate a holiday in President Hayes’s honor, named a city, department or province, soccer team, sports club, national holiday, and museum for him. He is reportedly also commemorated in textbooks, monuments and folklore. Why? Our 19th President was the arbitrator in a boundary dispute between Paraguay and Argentina after the War of the Triple Alliance where Paraguay suffered some 300,000 military and civilian casualties in 1864 – 1870. On November 10, U.S. Ambassador Liliana Ayalde participated in a ceremony at the Paraguayan Ministry of Foreign Affairs to introduce a new Paraguayan stamp that pays homage to President Rutherford B. Hayes and the 130th anniversary of the Chaco territory arbitration in which President Hayes decided in Paraguay’s favor. Bill Clinton already has a boulevard named after him in Priština; a Clinton statue is also in the works. Kosovo Albanian authorities have also recently decided to name one of the main streets in Priština after outgoing U.S. President George Bush. Listening to these legacy talks fill one’s head with endless wonder – what will the natives build in Afghanistan and Iraq? I am, of course, curious if the “no BP station preventive insurance” plan also has global coverage. Insider’s less snarky response after I’ve had coffee – I’ll ask around. Can’t say how much you spend as top diplomat in London representing the United States at the Court of St. James. But over in Rome, our man there did 220 dinners, lunches and receptions since 2006, which amounts to some 6 representational functions per month. I’m quite sure he has spent out of pocket, just can’t say how much out of pocket or, if one gets a tax deduction for spending on behalf of Uncle Sam (best consult a professional on the tax thingy). 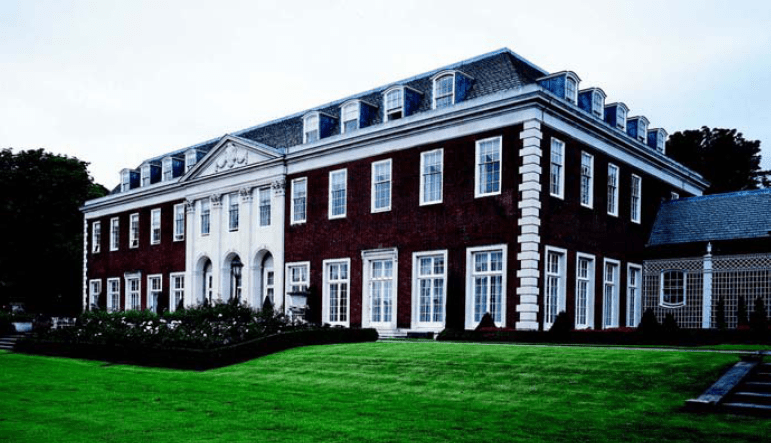 If anyone out there has ever been an Ambassador to the Court of St. James and has Winfield House as your digs, would you please let us know? I think a ball park figure would be much appreciated. I just published the “Foreign Service Blogger Index,” page currently listing 99 blogs by Foreign Service officers, specialists, family members and a couple by ex-FS members. Most blogs are open and accessible to anyone but a few are restricted to invited readers only (those blogs are marked on the list). The index will be updated regularly and the link to it will be permanently posted in the Foreign Service Blogs in the left hand column of this blog. If I missed your blog please let me know. I have also moved my collection of Think-Tanks and FS Organizational Resources from the left hand column to a web page accessible here. The link will be permanently listed under Web Links in the left hand column of this blog. Finally, a new addition to my links – is a collection of Leadership & Organizational Life blogs and resources online and an updated Online News and Magazine collection, both appearing in the left hand column of this blog. I hope this pruning helps you get around here better. AFSA has put together a Foreign Service Blogger Index recently. I have decided to no longer update my blogger index which I have pulled down shortly after Madam le Consul’s The Consul Files was shut down. Anne M. Mulcahy was named CEO of Xerox in 2001, and chairman in 2002. She previously served as president and chief operating officer, and president of Xerox’s General Markets Operations. Mulcahy began at Xerox as a field sales representative in 1976, and progressed into senior management positions, including vice president for human resources. She subsequently served as vice president and staff officer for Customer Operations. Mulcahy earned a B.A. in English/Journalism from Marymount College in 1974. She is a member of the boards of directors for Citigroup Inc. and Target Corporation, among others. Mulcahy has drawn a number of lessons from her harrowing turnaround tale. Leaders must “listen with a bias toward responding,” even during prosperous times, so they can learn about deep-seated problems and jump on them proactively. This means seeking out critics for “the straight scoop.” Simplify the corporate structure and communicate “a few clear priorities” – in person, if possible. She notes that previous Xerox managers had relied on a “classic, Powerpoint slide solution to organizational effectiveness” but it “was a nightmare when you went around the world and couldn’t find anybody who had clear responsibility for anything.” Make sure you’ve got the right people for the right jobs — diversify and make sure to hire “people who are different and smarter than you are, with skills you don’t have.” And if the organization is struggling or failing, articulate a vision of the future that employees and customers can buy into. Finally, lead with humility. Great leaders burn with ambition for their companies, not for themselves. 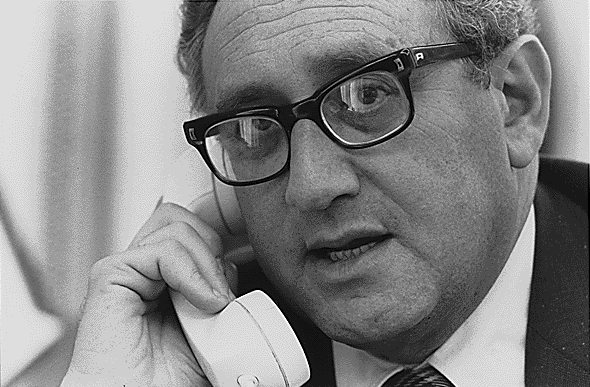 The National Security Archive, an independent non-governmental research institute and library located at The George Washington University posted on December 23 the Kissinger Telephone Conversations: A Verbatim Record of U.S. Diplomacy, 1969-1977. The entire transcripts are available here but you need a ProQuest account to read. Hey! I’ve heard of these old dogs before … you think new tricks gets better or worse with age? Secretary of State Condoleezza Rice met yesterday, December 22, with members of the Historical Advisory Committee (HAC) to discuss the Foreign Relations of the United States (FRUS) series and concerns expressed by some current and former members of the HAC about the series. Secretary Rice stated her strong support for the FRUS series and underscored its importance to academic and general audiences. Secretary Rice also told the group that she had asked an outside Review Team to provide recommendations about how to ensure the FRUS series remains the gold standard for diplomatic history scholarship. Members of the Review Team, Professor Warren F. Kimball (Rutgers University), Professor Ron Spector (George Washington University), and Ruth Whiteside (Director of the Department of State Foreign Service Institute), will report their recommendations to Secretary Rice and Assistant Secretary of State for Public Affairs Sean McCormack. 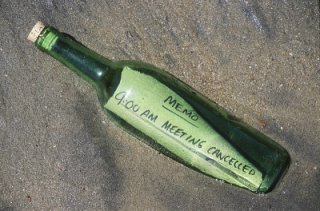 I supposed that is good news – the intention is there to be fully present until the last moment. But wasn’t the Assistant Secretary the same one who walked out of that contentious meeting? You’d think that the Review Team’s report would go to 66 and to the guy who oversees the Bureau of Public Affairs. Seems a conflicted setup, is all … but maybe it does not really matter now; bound to get another review soon.